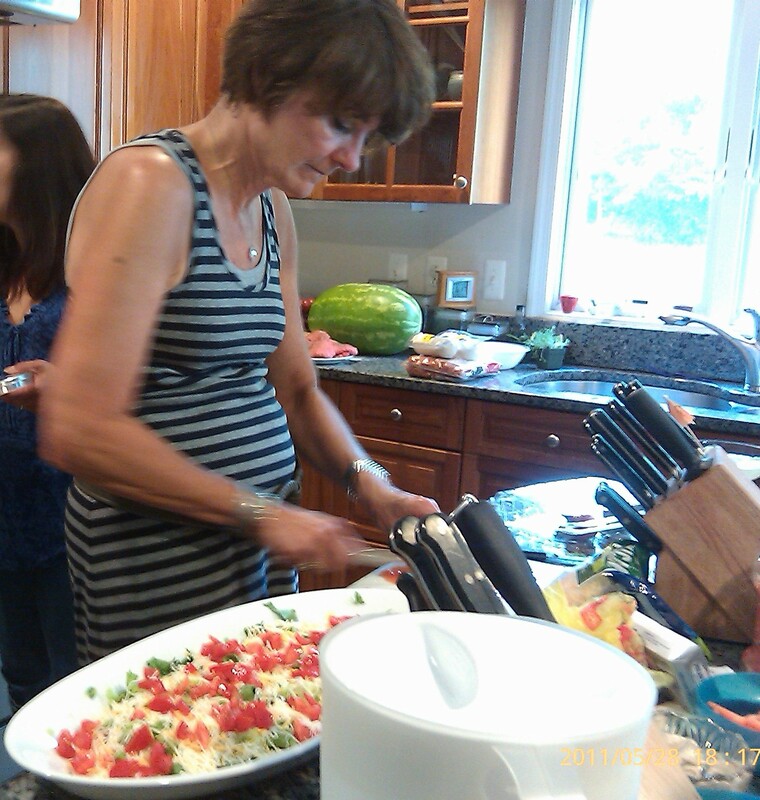 Mary’s Famous Mexican Dip | What's Cooking at the Genua's? Yes I know I have been quite negligent with my blog lately! I am so sorry everyone. I made a promise to myself this morning to do better and I will! Mary preparing the famous dip! On a large platter spread cream cheese to cover bottom. Spread salsa over the cream cheese. Add shredded lettuce on top of the salsa. Add the shredded cheddar evenly over the salsa. Top with the chopped tomatoes. Serve with sturdy chips!! Eat some before it disappears! I meant to give this a thumbs up but hit down by accident and I can’t figure out how to fix it! It looks really good! I think I fixed it Shira! 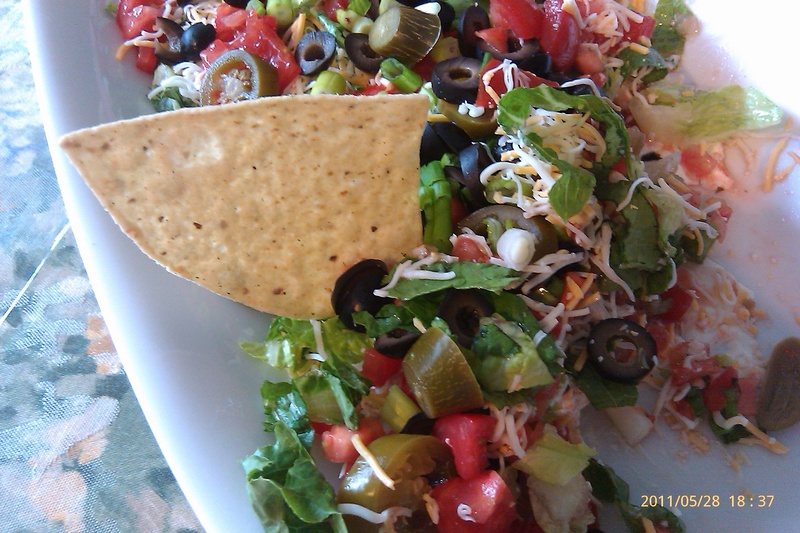 This sounds great… I make a similar 7 layer mexican dip that’s always a hit. I’ll have to try this version next time! And it’s so easy too! And when kids like it and request it you know it’s good! 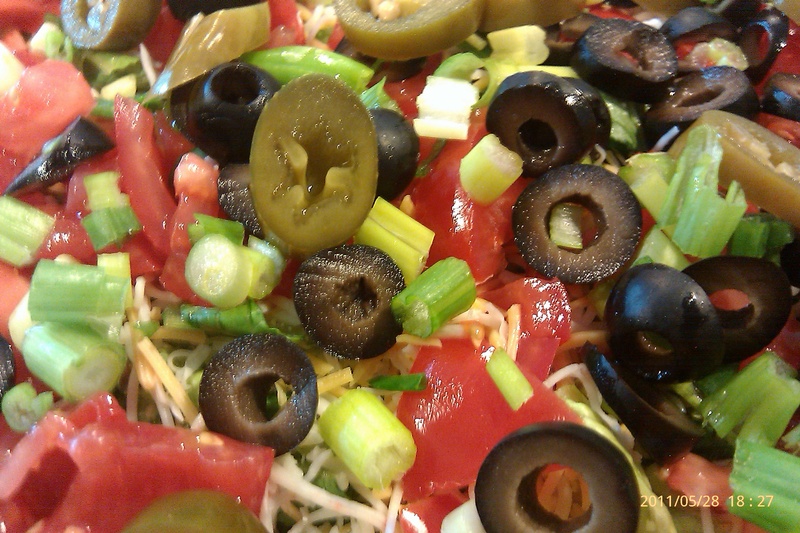 7 layer Mexican dip sounds good too!